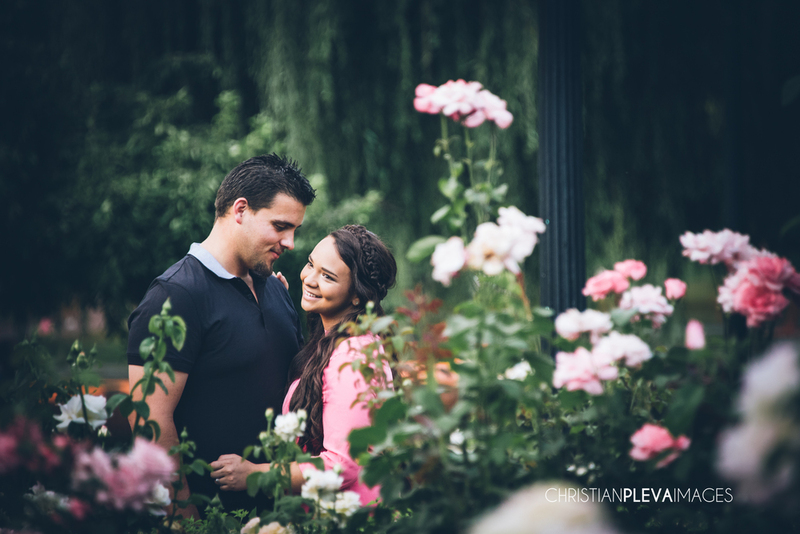 Priscilla and Gerardo are getting married in Costa Rica, so their engagement session from the Boston Public Gardens will give them complete diversity in their images! After the session their advice for other couples was, "Be yourselves, smile, and forget about the small little details (hair, shoes, make up, etc) enjoy the moment, what is important is the smile of your fiancee, the idea of being able to fall in love again and again as soon as you see each other on the pictures.". Such great advice!!! We often tell our couples that it's the "in between" shots that are some of our favorites! Once you are really comfortable and forget the camera is there, that's when we get the true emotion and interactions! Here are a few that I think capture just that!